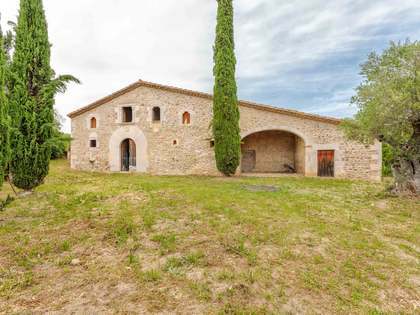 This beautiful Girona country property to buy is located in an idyllic countryside setting just 2km from the town of Caldes de Malavella and only 24km from the nearest beaches of the Costa Brava. The property, which has been sympathetically restored by the current owners, is situated in 1.7ha of private land, boasting attractive countryside views and offering total privacy. The south facing property comprises a 400m2 main house with an adjoining 25m2 covered porch, a 90m2 guest house, a swimming pool, stables for 3 horses and over 1ha of paddocks. 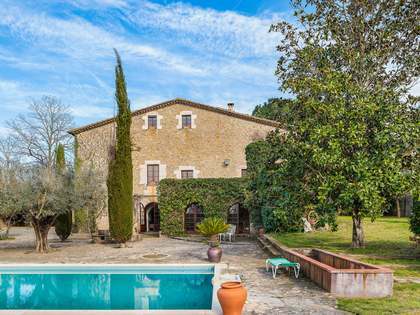 The property is accessed via a country lane (part dirt track, part asphalted) from the centre of the historic village of Caldes de Malavella, famous for his thermal water Spa. 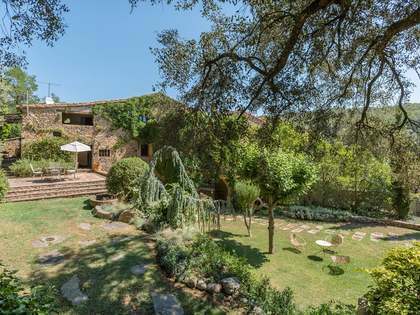 This is a beautiful Girona country house for sale in an exceptional location, offering excellent access to Girona, Barcelona and the Costa Brava. Formerly a stone-built annex building, the 1-storey guest house has been beautifully converted into additional accommodation and offers two double bedrooms, a bathroom and a spacious, open plan living area / kitchen with high ceilings and a glass facade with views to the pool and main house. 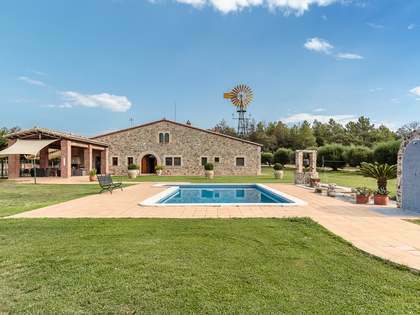 The property is ideally located, being just 12km from Girona airport, 10km from the magnificent PGA Golf de Catalunya golf resort, 90km from Barcelona and only 24km from the coast (Sant Feliu de Guixols).